Ready for a ride? 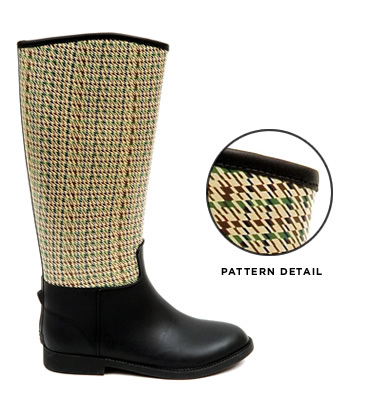 This tweed equestrian boot is the perfect Town and Country style, featuring a printed tweed shaft and a solid black foot. Made for riding, this boot is approximately 16" high and features a printed rubber exterior, mesh sport lining, a 1" heel, and a treaded rubber sole.